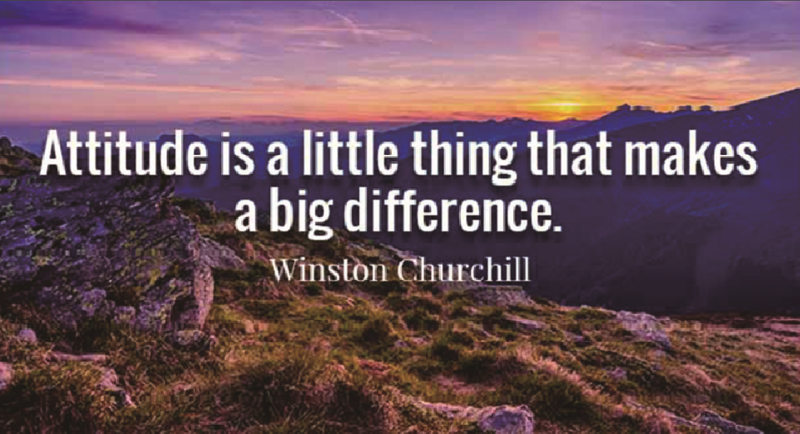 Winston Churchill once said, “Attitude is a little thing that makes a big difference.” Now, I’m not usually the one who gets emotional over something another person had said years back, but this quote really got to me. It induced me to ponder about the power one’s attitude can really have. The topic of having a ‘certain’ attitude is not only limited to seeing things in a positive or negative light. It goes beyond that and encompasses the ability to see possibilities. The people who came up with a successful start-up idea saw the potential that vending machines could have while others were confined to the fixed thought that vending machines could only carry packed treats. People who saw the possibility of being able to love someone regardless of gender, helped aid the Gay Rights Movement, making it a much more liberal society to live in today. Or the people who predicted the Fourth Industrial Revolution, they were the ones who saw an exit to the constant industrial stop hole the society was put into. The idea of seeing possibilities might not seem like an easy attitude to achieve. However, the only thing you really need to keep in mind to achieve such an attitude, is to understand that there is one. Acknowledge that there are possibilities in almost any obvious concept you come across, and one day you could be making a difference to society.